For tips on how to save energy, check out our Living Green in Long Beach page. Read about how CSULB 49ers “do it better in the dark” than CSUF Titans! Congratulations to all of our teams this year, as every week showed a decrease in energy use. Here are the final results for this year’s Do it in the Dark energy competition. In 3rd place, we have Residence who in their last week saved 1.57%. 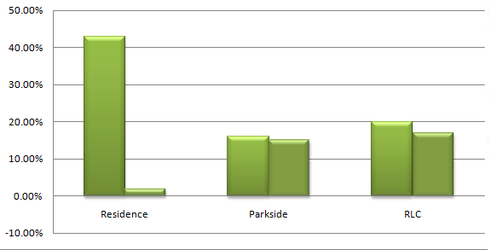 In second place came Parkside, who saved 18.41%. Our first place winner for this week is RLC, who saved 32.02%. Keep an eye out on campus for details on your reward! 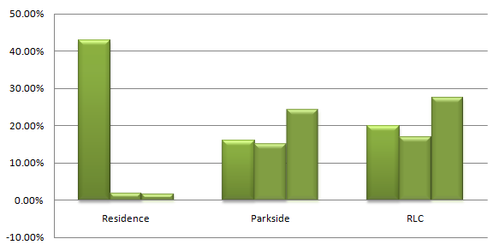 Residence saved 1.69%, Parkside saved 24.16, and RLC saved the most at27.54%. All of the teams are doing great at decreasing their energy consumption. Keep up the competition! This week everyone continued to save energy, but not as much as the week before. 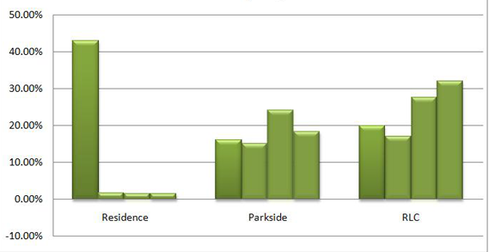 Residence saved 1.9%, Parkside saved 15.02, and RLC saved the most at16.97%. The competition is getting close, so keep the savings up to get first place in the end! The first week’s results are in. 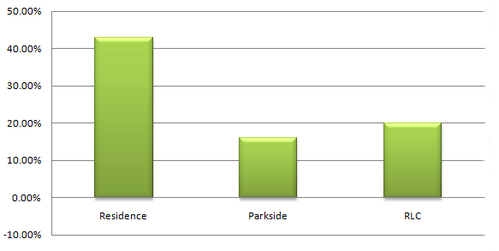 In third place came Parkside with a savings of 16%. Doing just slightly better was RLC with a 20% savings. This week’s winner is Residence, cutting a massive 43% of their energy and water consumption. Outstanding work to all of our teams for their savings in this first week of competition.